The IMF reckons Europe’s under-34s have less than 5% of the net wealth. Although as individuals we all welcome greater longevity, its downside is that parents no longer pass on their assets and savings at the same rate as before.Tinkering with taxation is the obvious way to correct this, along with doing far more to stimulate fertility in a Europe where couples average only 1.6 children. Revolutionary steps to subsidise childcare and home ownership could help to defuse the demographic time-bomb.The snag is that democracy is set to be the victim of demography. Across the EU, the under-40s will – within a decade or two – be outnumbered by their elders, and so most probably outvoted. Introducing policies that favour workers at the expense of pensioners is likely to be difficult, if not impossible. 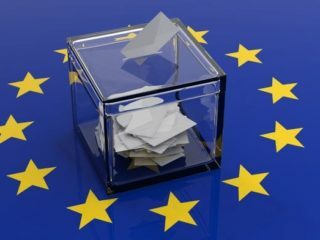 Coupled to widespread fears that populists will achieve major gains at next month’s European elections, there’s an awareness that the mainstream parties still lack convincing rebuttals of the populists’ rabble-rousing claims. The mainstreamers’ policy platforms suffer from myopia. They can’t see very far ahead. Instead of being concerned with long-term structural problems, they focus on immediate ones. That’s politics, of course. But the true worth of the European Parliament includes its wider view rather than narrow national preoccupations. That, together with the growing international clout of social media, should point towards ’Big Picture’ thinking by MEPs seeking election. The 21st century’s challenges are huge, and quite unlike those Europe has faced in years past. They are not susceptible to purely national solutions, and will be far more manageable if EU member governments concert their responses. These increasingly serious dangers range from the costs of ageing and the impoverishment of younger generations to Europe’s need for more immigration. A new era of political turmoil threatens. Within 10 years, Europe’s over-65s will have gone from under a fifth today up to a quarter, and are headed for a third by mid-century. By then, around 11% of the EU’s GDP will go on healthcare, with pensions on top of that. But Europe’s workforce will have shrunk from four working age people per pensioner to only two, so how will these soaring social costs be financed? Removing the handicaps on young people will be essential, but receives scant attention from politicians. The young are increasingly underprivileged. Housing difficulties, low wages and job insecurities in this digital age suggest an unpromising outlook for them. Europe’s under-40s pay, on average, four times more in taxes than the over-65s, and receive four times less in social benefits. It is hard to see how most EU countries will be able to afford ageing. Economic growth has so far gone hand-in-hand with an expanding workforce - pre-Brexit Britain’s relatively healthy economy was a prime example of the benefits of attracting so many younger people from elsewhere in the EU. But as the supply of native European workers is already tailing off after many years of lower birth rates, where will tomorrow’s taxpayers come from? Mainstream candidates should be raising the tough questions that result from demographic change, not ducking them. Populists who stoke xenophobia and racism must be challenged to set out their own policy solutions. If there’s one thing most voters readily accept, it’s that ageing and its consequences will not be going away.